Buried deep in my inbox was this video for “I’m So Happy” by The Mare. 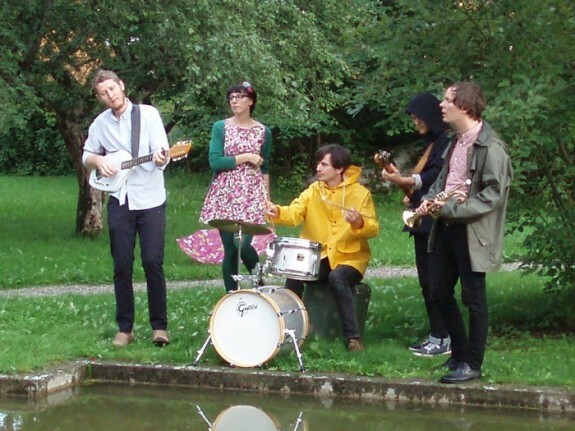 It’s a super upbeat, wildly fun indie pop song from, yes, another great Swedish band. The video features plenty of dancing, a stuffed giraffe, and great colors. The song’s title is perfect; not only does the band continuously repeat the words I’m so happy, it’s also super infectious. Complacency or foul mood? This song is your antidote. “I’m So Happy” is the first track off The Mare’s new EP of the same name, available now from Leopard Up A Tree Records.